Interact directly with case managers. Connect to external resources relevant to their disease. Monitor their disease symptoms and health events. Patients with rare medical conditions benefit from robust support. Since patient populations are relatively small, reliable information is often thin on the ground. Shire wanted to offer its patients a helping hand to navigate pathways to treatment. Strengthening its patient services program would help bring best-in-class care to niche patients across products, give patients the flexibility to talk with Shire across channels, and engage in innovative ways. 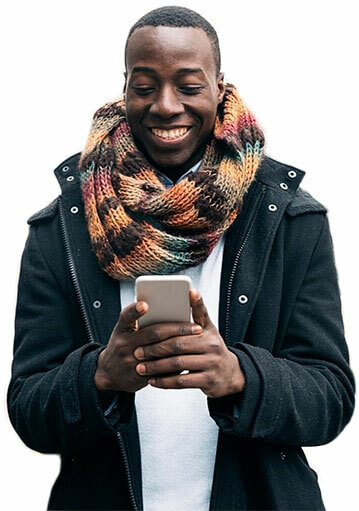 Shire collaborated with Accenture to create a mobile application that connects patients to its Patient Services program, as well as other available resources. At launch, the app would serve patients using seven rare disease products, consolidating multiple sources of information in one spot. With the app, patients could take charge in managing their disease and reach out to Shire for support in the best way that suits them. Shire tapped into Accenture’s consulting, technology, cloud, and digital capabilities to develop and deliver the mobile application, which is built on Accenture’s Intelligent Patient Platform, extending the existing capabilities on Salesforce. The Accenture team worked closely with seven rare disease product brand teams to understand the patient’s journey and translate it into a user-friendly design. The platform integrates with Shire’s other customer-facing services, such as text and phone calls, enabling patients to contact case managers directly. Patients can use the app to track insurance and provider information, find resources for financial support, and arrange infusion or injection training from a nurse. It also connects patients to external resources relevant to their disease, such as the product’s website, disease education, and patient support. With the mobile app, patients can track and update their personal information, as well as monitor disease symptoms and health events via an e-diary. Patients can export the e-diary to improve the quality of conversations with their healthcare practitioner. The application is helping Shire deliver a better patient experience and remove barriers to treatment through mobile technology. It offers new ways to interact directly with patients and educate them on their disease. The company is working to make the mobile app technology standard across its portfolio of products to improve the experience for all Shire patients. For patients and caregivers, the app puts knowledge and power in their hands. It allows users to manage their disease and track their patient information, receive patient support and disease information, and advance and enhance the quality of conversations with healthcare practitioners. These resources will allow patients to track when they experience episodes and monitor their lifestyle to minimize relapses, ultimately improving outcomes. Patients using the app now have more options to interact with Shire and other disease resources. With these enhanced connections, Shire is offering services that are more attuned to patient needs throughout the treatment journey. The industry platform for delivering patient services that improve health outcomes. Accenture’s Intelligent Patient Services help life sciences companies develop evidence-based patient services from pre-diagnosis through ongoing treatment, so they can deliver better patient and economic outcomes.